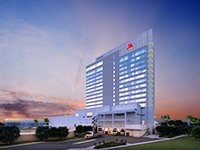 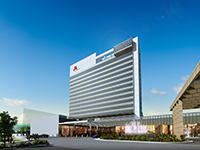 Marriott Hotel - Aidea Inc.
A development from Widus International Leisure, The Marriott Hotel at Clark will be Pampanga’s first five-star hotel as it is situated on a 3.2 hectare land and has 261 rooms in a 16-storey tower. 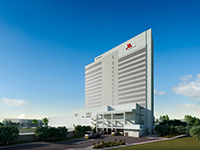 The Marriott Hotel represents the latest and most innovative hotel given its very unique design and character. 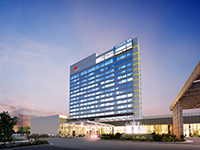 It will also complete the vision of the Widus complex of being the preferred one-stop leisure destination in the Northern premiere economic hub.